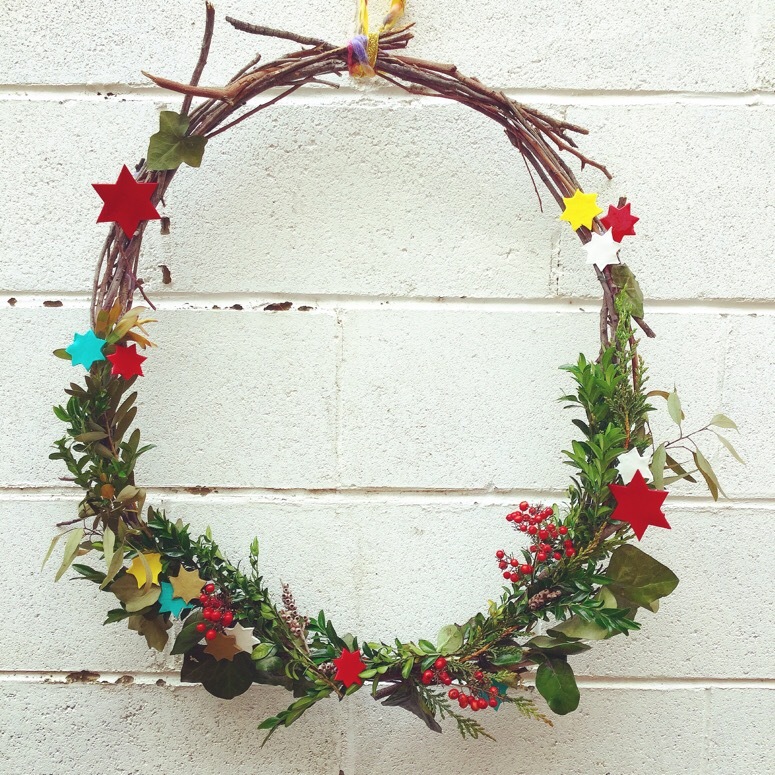 The problem I’ve had with real Christmas wreaths in the past has been the hot Australian sun. The wreath looks great for a couple of days, but as the days go by, that beautiful, fresh green turns to a crusty brown. So this year, I decided to give the glycerin preserve method a go. The method seemed simple enough. 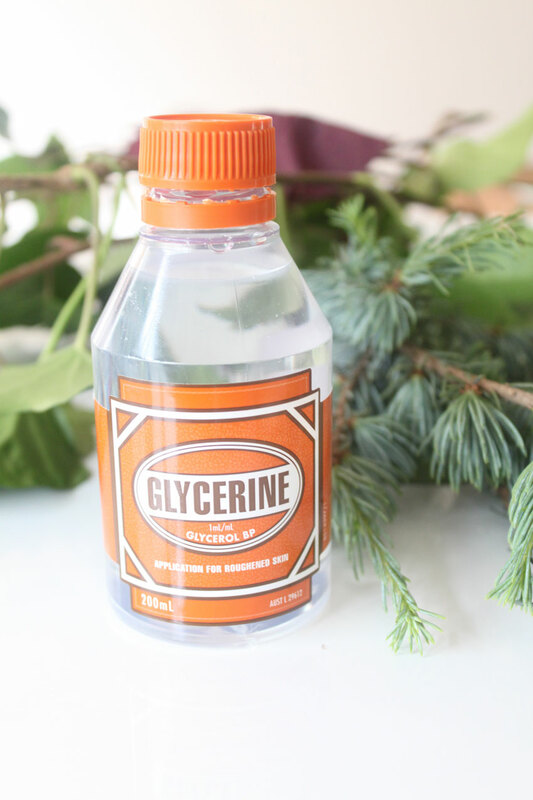 1 part Glycerin to 2 parts warm water. 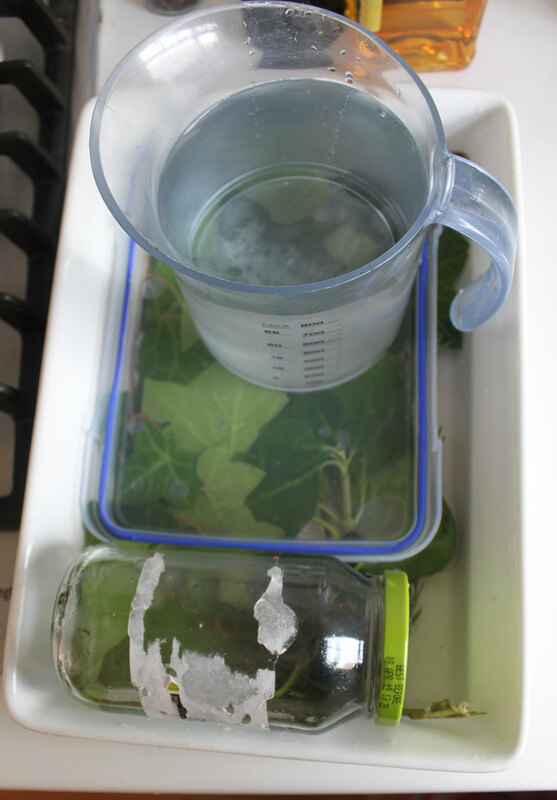 Submerge the leaves and leave sit for 3-4 days. 3 days later (there was no way I was waiting 4!) I took out the leaves and pat them dry. They did feel different. Slightly more plasticy. I let them dry and used florist wire to attach them to my twig wreath. Now came the test. Out in the sun it went. And I must say I was totally disappointed! Either I did something wrong (which I doubt because the method couldn’t be simpler) or this technique still won’t allow you to put the greenery outside in the sun. I was pretty annoyed. 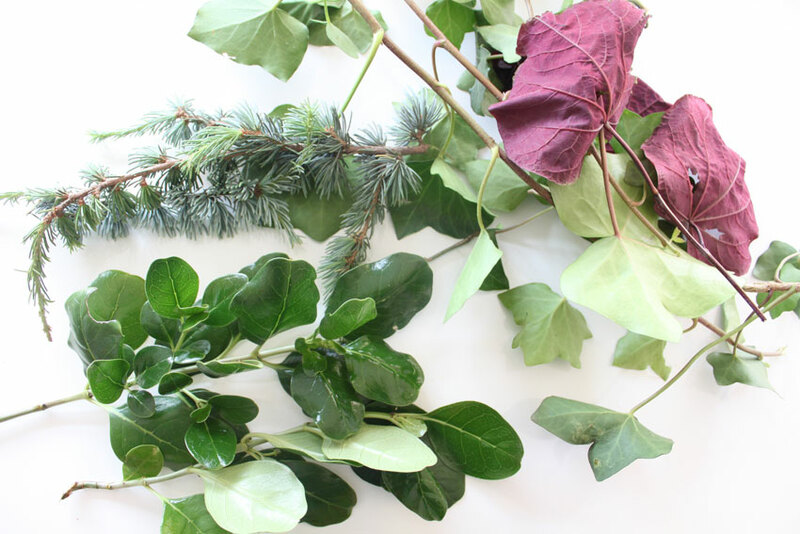 I drove to Spotlight the next day and bought some artificial leaves. Yes, I know, artificial. But it looks great. And I’m pretty sure after today’s 31 degree sun, it will still look great tomorrow. 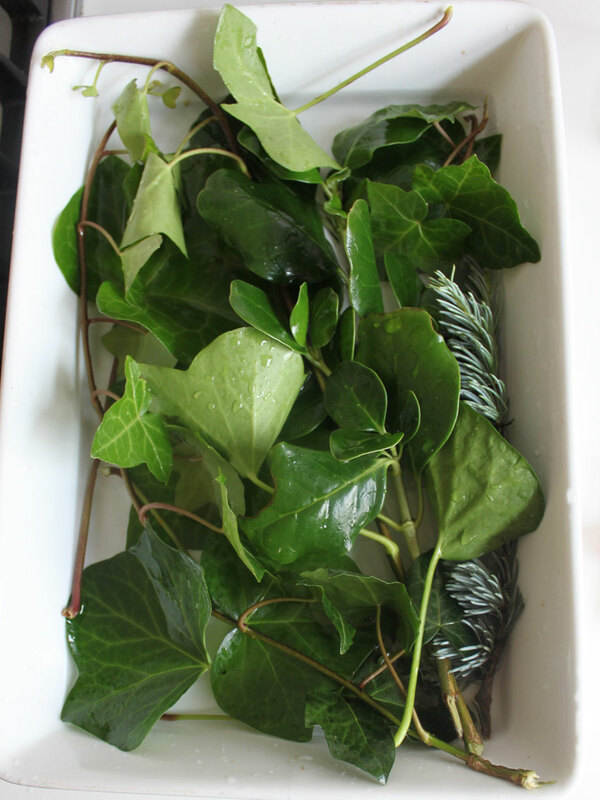 Below is what my preserved leaves looked like a day after I made it. Still fresh. Alas, it didn’t last. If anyone has any tips or advice about the glycerin preservation, pleassssse le me know!